Allow the boiling water to settle for about 30 seconds before pouring over the tea. If you have a fancy kettle, which sets the temperature to 80 degrees, (this is ideal for the organic Gunpowder Green tea and Saffron Green Tea). Alternatively, allow the boiled water to rest for 30 seconds before pouring over tea leaves. 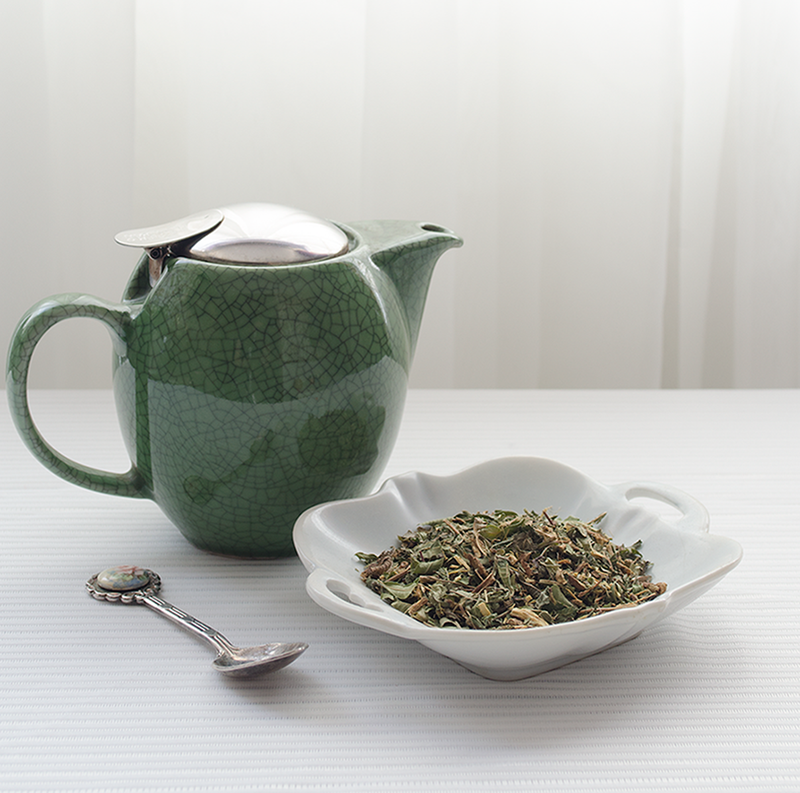 (The herbal blends diffuse the green tea and stop it from being spoiled by the boiling water). (1 Litre), place four teaspoons to the pot/glass plunger of your favorite tea, (Antiox-Tonic makes a delicious iced drink), add boiled water and allow to brew for 10 minutes. Pour one cup and top up with hot water. This will stir the tealeaves and draw more flavour to the brew. Allow to continue brewing. When ready pour into a glass bottle and refrigerate. (Drink within 3-7 days).